Previous research has found that people with type 2 diabetes are at approximately two-fold increased risk for developing pancreatic cancer (along with several other cancers). Now a new analysis suggests that some level of increased risk may persist for more than two decades after diabetes diagnosis. The study was published last week in the Annals of Oncology. Study authors analyzed data from 15 case-control studies that included approximately 8,300 cases of pancreatic cancers and 14,000 controls. Overall, there was a 90 percent link between individuals with diabetes and pancreatic cancer: 15 percent of people with pancreatic cancer and 8 percent of the controls reported they were diagnosed with diabetes at least two years prior to their cancer diagnosis. The longer people lived with diabetes, the lower their risk of pancreatic cancer. But at 15 to 20 years after diagnosis there was 50 percent increased risk. 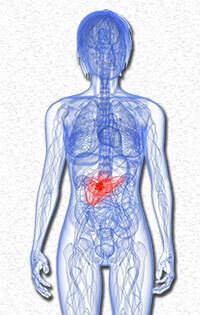 And 20 years and more after their diagnosis, there remained a 30 percent increased risk of pancreatic cancer. The link remained after taking into account smoking and being overweight. The possible mechanisms between diabetes and pancreatic cancer is complex, the authors write. Some cases may be explained by early cancer symptoms leading to a diabetes diagnosis. Yet the majority of cancer cases diagnosed years later supports a role of diabetes on pancreatic cancer development. Diabetes is associated with hyperglycemia, insulin resistance, and abnormal levels of insulin like growth factors, and high insulin levels promote pancreatic cancer cell growth in lab studies. Obesity, a known risk factor for both diseases, may also play a role. The authors relied on self-reports and could not distinguish between type 1 or type 2 diabetes. Almost all the participants were diagnosed after they were 30 years old, suggesting the vast majority of cases were type 2 diabetes. C. Bosetti et al. "Diabetes, antidiabetic medications and pancreatic cancer risk: an analysis from the international pancreatic cancer case-control consortium." Ann Oncol. First published online: July 23, 2014. Giovannucci E, Harlan DM, Archer MC, Bergenstal RM, Gapstur SM, Habel LA, Pollak M, Regensteiner JG, Yee D. Diabetes and cancer: a consensus report. CA Cancer J Clin. 2010 Jul-Aug;60(4):207-21.